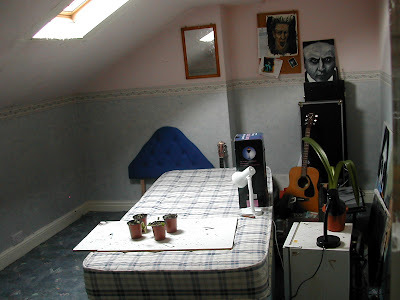 Just before Christmas last year, the last of our three children left home, and his room slowly emptied of twenty years of detritus belongings. As happens with empty rooms, some stuff has migrated into it for 'storage', but the boy seems happy in his new home, so I can finally have a room for my ..........trains. If you are reading this blog, it is because you are interested in aircraft modelling, so talk of trains may not do it for you. If so, here are a few photos of an on-going P-51 project. 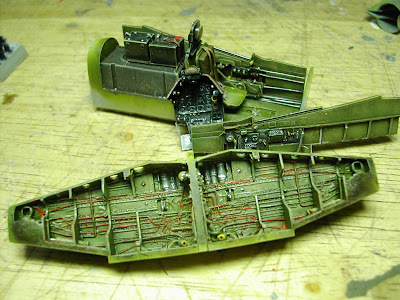 Of course, it is the Tamiya kit in 1/48 scale, being beautified by the Aires detail set. The internal parts are already compete, so I'm modifying the plastic to accept the resin. Most of the surgery has been done, with only a little alteration to the upper wings and the removal of the cockpit coming later. Finally, a word on the stop/start destroyer. 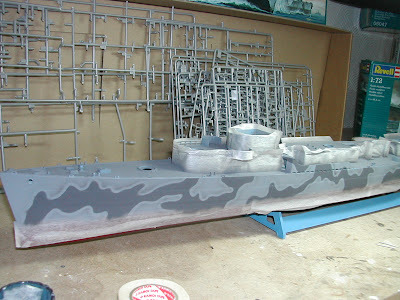 The hull camouflage has now all been applied. Soon I'll move on to its superstructure. But what about all that overspray I hear you asking? 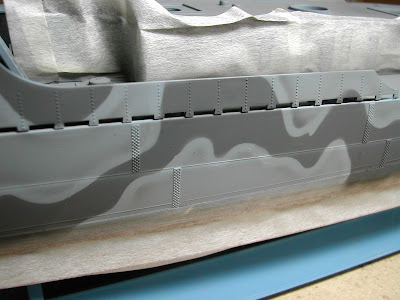 I usually apply hard edged camo like this with the aid of Blu Tac, an effective medium for providing a nice edge without the paint build-up that masking tape gives. 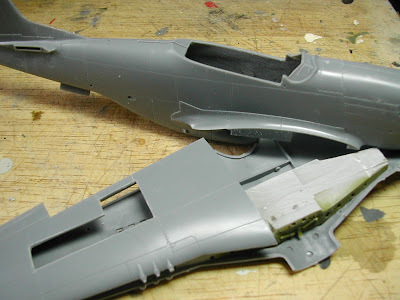 The resulting overspray is lost during the first weathering stage. I'll demonstrate this later.